With Warhol on the move. “THE TRIP” IT WAS — with the successful advertising artist who had a movement stirring in his head, a hunk kid skipping out on his poetry semester of school, never been out of the Bronx, who met so many famous people, he just added photography and silkscreening to his resume and never looked in the rear view. The driver, Wynn Chamberlain, was a fairly normal-looking human commandeered by Warhol for his Ford Falcon. Then there was Taylor Mead, the “movie star” poet I first met ca. ’61 in Venice, California, when he was a local fixture with his stolen grocery cart (to haul his belongings) and his faithful transistor radio tied to it. Descriptions of the characters evolve fully in the book with Ms. Davis’s incredibly concise lines, trimly coiffed, loaded with subtle humor that discretely has no problem with the hard-edged vernacular of the time only found in truck stops and underground publications. “Tall Wynn, goofy Taylor, ghostly Andy and hipster Gerard” sat in a booth at one of the largest “Streamline Moderne” roadside diners on Route 66 somewhere in cowboy-hat-and-boots truck-driver country in Oklahoma when all eyes turned toward them. Gerard had just witnessed a mirage for the first time and penned a beautiful poem about it. Their heads were already in Hollywood meeting the in-crowd, the beautiful people, the famous who were to gather at Dennis Hopper’s party. Warhol was witnessing the art that was complete in itself, probably remembering the advice of his friend “De,” who advised him not to leave his impressionistic brush stroke on the coke bottle. Paint it as it is. A new movement was forming. They met the master of change himself at the party: Duchamp — and never looked back. It is Ms. Davis’s style to pan to a faraway object, complete its history, then cinematically bring it into the focus of the story. It is Ms. Davis’s style to pan to a faraway object, complete its history, then cinematically bring it into the focus of the story. John Huston becomes cinema verité. Her style permits one to learn everything related to the trip. 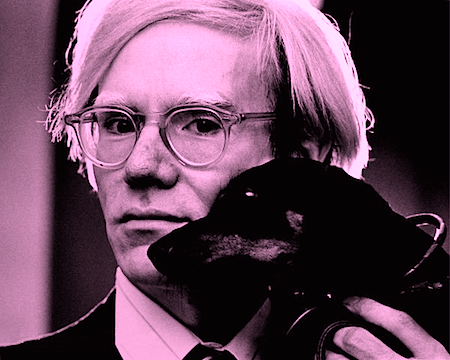 Even things Andy Warhol’s diarist didn’t know. It is an education in detail. Here’s one: Howard Hughes was staying at a famous hotel where the Falcon four landed, courtesy of Hollywood elite, and had a standing order for a roast beef sandwich to be hung in a tree so he could stalk it at night. I thought I had read everything about Howard Hughes. The Falcon itself was designed to compete with the lean Volkswagen by none other than Robert McNamara, later to be the liar with blood on his hands. Everything related to the story is explored, brought back into it by Ms. Davis. For instance, how the song came to be about “kicks on Route 66″. Even gossip became history. They put on “the put-on” for the been-there-done-thats. What’s inside is out, what’s outside is in. IT’S ALSO FREE from political correctness in that short window of time from the ’60s to the beginning of the ’70s (according to Mel Brooks), when the occupants of the Falcon could see Presley in Viva Las Vegas or Dean Martin, who “held the diminutive [Sammy] Davis in his arms and said that he’d like to ‘thank the NAACP for giving me this trophy.’” We learn that when they visited Palm Springs the rather square Bobby Kennedy was to get JFK in trouble again, this time with Frank Sinatra when he put his brother in the clean Republican crooner Bing Crosby’s place to make sure he wasn’t seen “playing house.” The copious details make me so nostalgic I wish they were back, and they will provide Gen X the essentials for a formative aesthetic needed at this time for how and why movements take shape. One can learn more about the aesthetic of the movement of the age and its art from this book than from all the museum tracts and…modern art history books. The book is profusely documented like no other in modern publications I know, with pages full of notes, a bibliography, a precise index, and illustration credits. One can learn more about the aesthetic of the movement of the age and its art from this book than from all the museum tracts and critical treatments, more about its neuromorphic seeds, its painting, its poetry (of the MacLeish dictum “doesn’t have to mean but be”) than from all the modern art history books. Symbol becomes icon, icon becomes symbol. It’s legacy now seen by the young who snap pics of the product, the brand, and say, “Oh wow” to the symbols of their own roots morphed in the resonance of 1963, the movement in making. I love this book. The Trip is a trip. Get it. Charles Plymell’s work has been published widely. 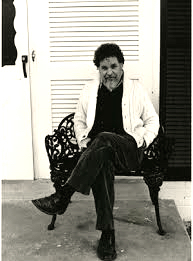 He has published and collaborated with many poets, writers, and artists, including principals of the Beat Generation. His website is Cherry Valley Editions. This Fortnightly Review article is filed under the following rubrics: Books & Publishing, Notes & Comment. Publication: Saturday, 3 October 2015, at 12:24. Options: Archive for Charles Plymell. Bookmark the permalink. Follow comments here with the RSS feed. Post a comment or leave a trackback.